 J & J Carter is a leading manufacturer of event structures and tensile architecture. 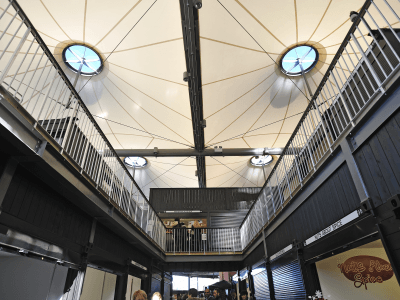 We offer a comprehensive design, manufacturing and maintenance service of fabric structures, both temporary and permanent. 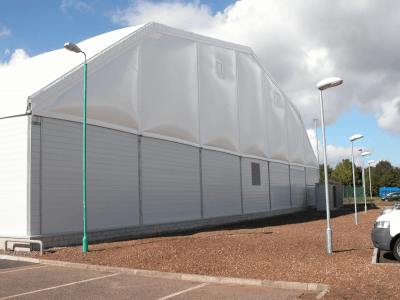 Our bespoke fabric structures and products are compatible with a wide range of applications including, sporting, agricultural, environmental and industrial industries.  Using our 30 years of unparalleled expertise, all J & J Carter structures and products are designed and manufactured using only the highest quality materials and technology making them durable, adaptable and capable of meeting any requirement. 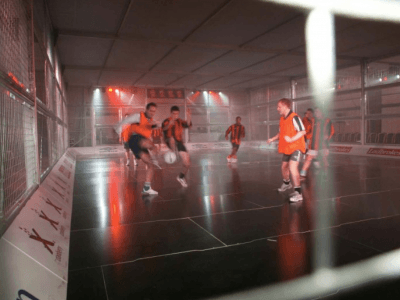 J & J Carter were commissioned to design and build the temporary cages, and the fabric structure surrounding them, for the high profile event. To maintain its reputation as a leading club and to enhance its offering to members, the Club recognised the necessity for year-round playing facilities. 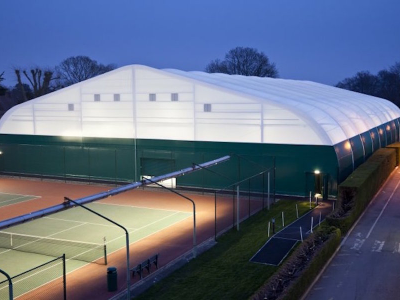 Due to high demand for tennis facilities in the area, it was necessary to expand the centre by increasing the number of indoor courts without incurring the costs of traditional brick building. 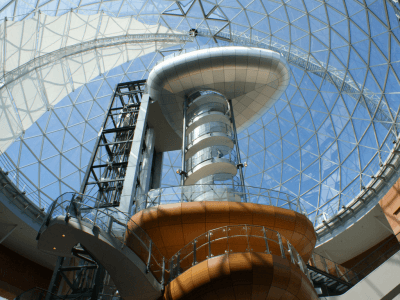 Victoria Square is Belfast's number one shopping destination. It is home to over 50 stores including House of Fraser, Topshop, Cruise, Reiss and H&M. 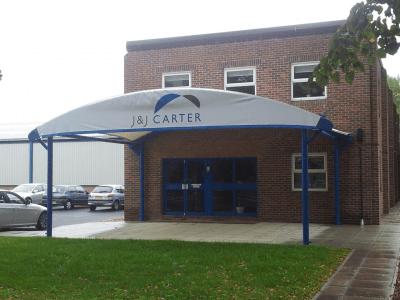 J & J Carter were appointed to create and install the canopy to the exterior of the building. 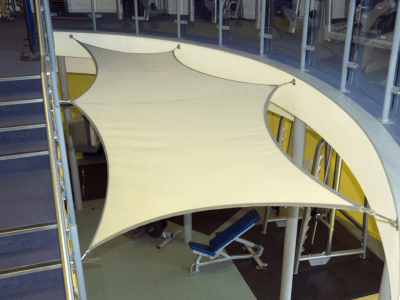 J & J Carter were responsible for the design and build of a tensile fabric sail canopy at the Wellsprings Centre in Taunton, Somerset. The site for the auditorium was a wooded glade in the grounds of the hotel, which presented challenging build circumstances. 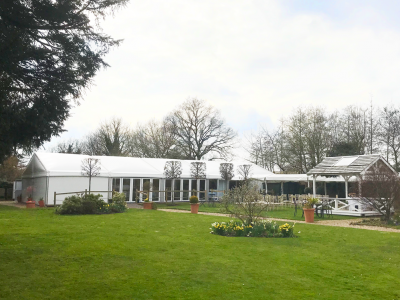 J & J Carter were contracted by Loddon Hotel Ltd., owners of The Mill House Hotel to replace their existing 38 year old marquee facility with a modern structure.  We provide a comprehensive service, from design to end of life. SS Shieldhall I would like to say thank you to you and your fantastic installation team. You delivered exactly what we agreed and the team that installed the canopy couldn't have been more professional and helpful. 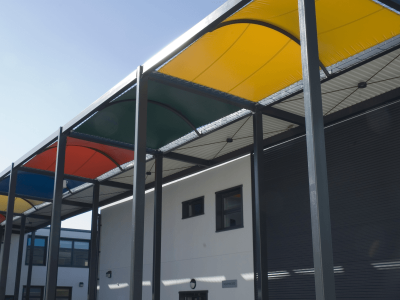 Manchester College The installation of the canopy was outstanding from start to finish, with minimal disruption during our busiest week of the year, enrolment week. Visually it works to provide an exciting touch to the building approach. National Railway Museum The work carried out by J & J Carter was actually finished before the anticipated completion date, with minimal disruption to ongoing activity at the museum. The structure is impressive, reliable and fully functional in the purposes for which it was intended. Stringer & Jones Architects The superb design has worked to enhance the terrace and assist in providing an idyllic surround for the residents of the development to enjoy the views of the ocean, which is a major selling point. 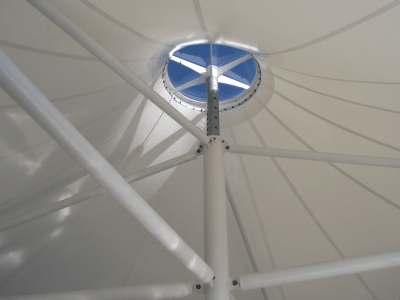 The outstanding quality of work gives us confidence that the canopies will withstand the environmental conditions of the location. J & J Carter worked admirably alongside the builders to fit into the scheme. Arup From a design point of view this was an extremely challenging piece of engineering design and we had to have complete confidence in the manufacture and erection - which we did get from J & J Carter. Also the programme was incredibly tight and from when we first approached them very late in the day they did deliver to the project deadlines. Sandown Park Racecourse The canopies have modernised and improved the appearance of the racecourse. As well as providing adequate coverage for our spectators in all types of weather, the floodlit canopies have made the area multi-purpose as we are able to use it in the evenings. 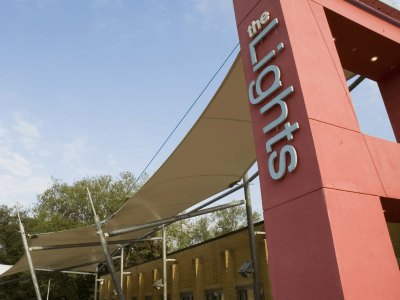 The Lights Theatre We are extremely pleased with the canopy - it is striking, contemporary and perfectly suited to our venue. From a functional point of view it provides adequate coverage and looks as good now as it did when first installed.  We had to work to a very tight budget and J & J Carter proved themselves to be reliable by delivering on time and within budget, and the level of service we received was very reassuring. 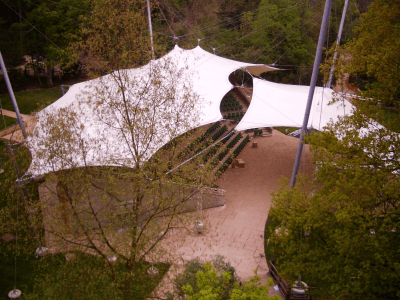 White Pavilion Gazebos J & Carter have supplied us for many years - 100's of canopies and 1,000's of side screens for our luxury gazebos.  Without exception, my customers tell me how much they appreciate the quality, the style and the robustness of their products. A big thank you to Robert and his team. The Mill House Hotel We can’t thank Robert and Ollie enough for their tireless patience and professionalism from the planning stage through to installation. From minor adjustments, co-ordination of the work force to ensure we have a Marquee fit for purpose. The end result is fantastic.